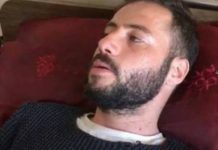 The Palestinian Centre for Human Rights (PCHR) condemns Palestinian security services arrest and illegal detention of Hamas supporters in the West Bank. PCHR calls upon the Palestinian National Authority and security services in Ramallah to stop arbitrary arrests and to release all political detainees. 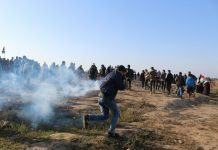 According to investigations conducted by PCHR, Palestinian security forces have waged a campaign of arrests in the past two days, during which they have arrested dozens of members and supporters of the movement. This campaign coincides with the 22nd anniversary of the establishment of the Hamas movement. The Preventive Security Service (PSS) and the General Intelligence Service (GIS) have arrested members of Hamas in numerous locations throughout the West Bank. At least 116 individuals have been arrested: 50 in Hebron; 17 in Ramallah and al-Bireh; 5 in Nablus; 6 in Jericho; two in Bethlehem; 3 in Tubas; 26 in Tulkarm; 4 in Qalqilya; one in Salfit; and two in Jenin. The detainees have included journalists, lawyers, engineers, school teachers and students, university professors and students and a number of children. 1. Yahia ‘Azmi Mar’ei, 13. 5. Bassel Yousef Yamin, 22. 3. Mohammed ‘Aassef Abu ‘Erra, 17. Both of them are university students and were later released. 1) Reminds all parties of the Palestinian High Court of Justice ruling of 20 February 1999 which considered political arrests illegal, and calls upon all executive parties to respect the Court ruling and refrain from conducting illegal political arrests. 2) Affirms that all forms of detention under Palestinian Law are the mandate of judicial warranty bodies, represented by the civil police, working under instruction and supervision of the Attorney-General. 3) Calls for the immediate release of all political detainees held by security services in the West Bank and Gaza Strip.